drilling muds. 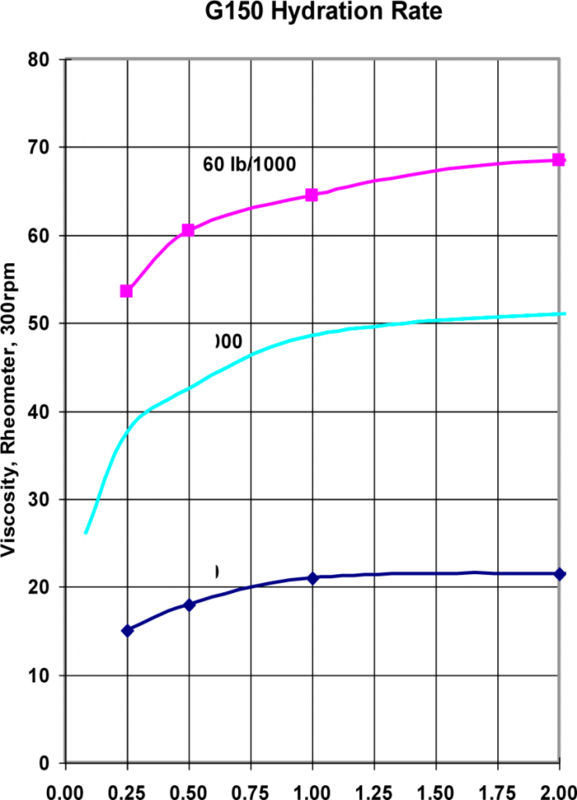 Molecular weight is in the range of 1.5 to 2.0 million. G150 BLSF has been used extensively for geotechnical stabilization of extraction trenches during excavation and construction and well bores during drilling. G150 is biodegradable and can be broken down completely thus maintaining the permeability of those soils and producing formations. Rantec has more than 16 years of experience in supplying G150 for use in liquid shoring and drilling applications. As part of Rantec’s continued improvement program G150 in now easier to mix, less dusty and produces more viscosity per pound. high shear, viscosity is very low. 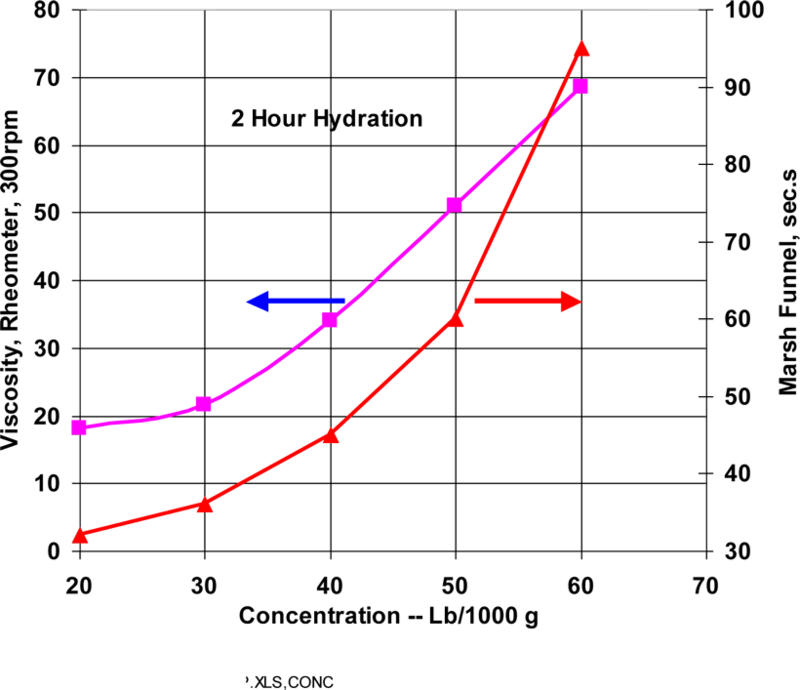 Figure 2: Rheology demonstrates these rheological characteristics of the fluid. Rantec G150 is designed to provide easy mixing and good yield of viscosity. G150 yields workable vis-cosity in about 1 hour and is fully yielded in about 4 hours. 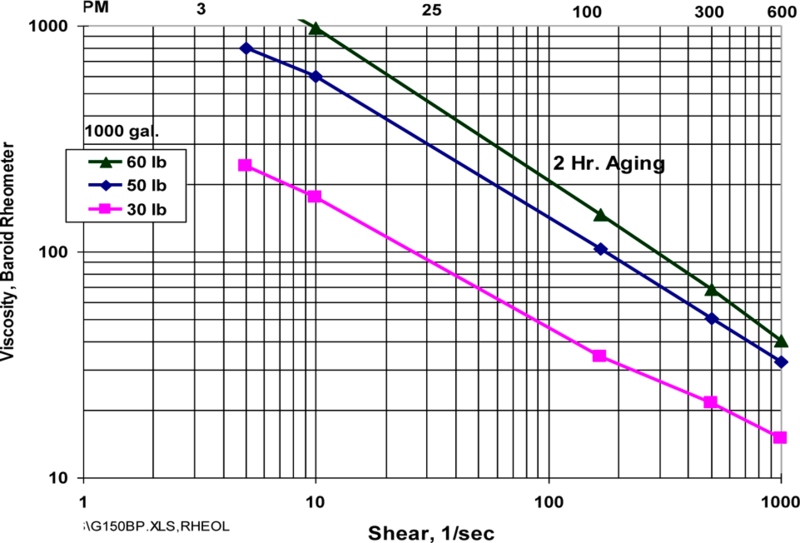 Figure 3: Viscosity Development demon-strates the development of viscosity through a period of 24 hours. In 1 hour G150 has yielded 90% of its viscosity. G150 responds well to high shear mixing. Additional shear will accelerate the rate of viscosity yield. Rantec will provide assistance in choosing equipment suited for good mixing of G150 fluid. Systems can be engineered for a wide range of capabilities from manual addition to fully automated systems.